O'Goodies specializes in gourmet gift baskets, and we are always happy to customize your gift for you. This is especially important to corporate customers, as we can create your gift designs in your corporate colors, or using your corporate logo, or even your promotional merchandise such as mugs and hats. 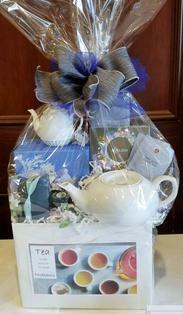 Please contact us for information on a custom corporate gift basket program. Remember to advise us at the time you place your order if you have specific requests for your gift basket. For example, if the recipient is allergic to nuts, please make a note of this in the "comments" section of your order, and we'll be sure that nuts are omitted from the gift basket for you. In the same way, if the recipient is especially fond of cookies, or candy, for example, let us know and we'll do our best to add more of that type of product to the assortment in the basket.